Understanding and Change was beaten into my head over and over again in my Catechetics courses at Franciscan University. You can ask any FUS student who took a Catechetics class in the last 15 years and I'm sure they can spout out CT 20 to you in a heartbeat. After 8 years of ministry, both full time and traveling on the side, I've done about 100 retreats and conferences, and have given over 300 hours of talks. Each talk is crafted to suit the needs of the audience as best as I can know them (hence the importance of relational ministry!). I have become to learn the subtle differences between a talk that is more about information transfer and one that seeks conversion primarily. Last weekend I did a Confirmation retreat weekend, which is usually time to engage in heavy apologetics and a basic introduction to the Gospel. But not this weekend. The kids were pretty well educated and definitely enthusiastic to be there, which is rare. I realized half way through the opening songs that my original line up of talks would have to be augmented to suit a more prepared audience. My talks would have to change now. "In order that the sacrificial offering of his or her faith should be perfect, the person who becomes a disciple of Christ has the right to receive 'the word of faith' not in mutilated, falsified or diminished form but whole and entire, in all its rigor and vigor." We cannot be mistaken here. As a catechist you bear awesome responsibility that echoes loudly into eternity. Catechesis that mutilates parts of the deposit- for whatever reason- interferes with the disciple's ability to be conformed to the likeness of Jesus Christ. This affects worship, the "sacrificial offering" of ourselves! 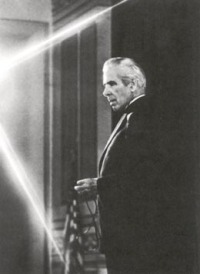 Fulton Sheen addressing the Knights of Columbus in 1975Jesus asks us to become great evangelists and disciple-makers, not just amazing keynote presenters. Archbishop Fulton J. Sheen once said that proclaiming the Christian life consisted of "First come then go." Only those who first come and sit at the feet of the Master again and again can be properly formed to "go, go" out into the world and not only preach the gospel, but to "go and make disciples". When speaking about disciple-making, we need to cover the topic of systematic catechesis. Systematic does not mean boring, mechanistic, or rote memorization. In fact, systematic catechesis demands creativity from every catechist as well as coherence. So let's dive into the teaching of popes John Paul II and Paul VI on evangelization and catechesis is order to respond faithfully and take seriously the call to "go and make disciples" through being systematic in our catechesis.